This is a rectangular Jersey Lane Ice Cream porcelain sign. This particular Jersey Lane Ice Cream sign is black and white with touches of red. 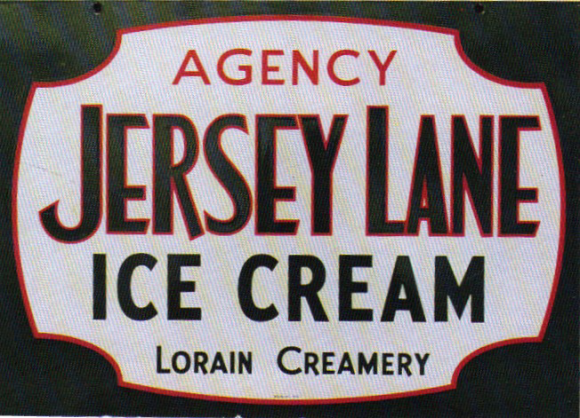 It reads, “Agency Jersey Lane Ice Cream, Lorain Creamery” and features a decorative black border.